You’ve decided to take the plunge and join an online dating website. Now it’s time to create a personal profile that will help you stand out — in a good way — among the thousands of other profiles on the site. Fortunately, creating an awesome and memorable profile is possible; all you need is a bit of imagination and creativity. Since your username will be one of the first things potential suitors see, take some time to make it clever and memorable. 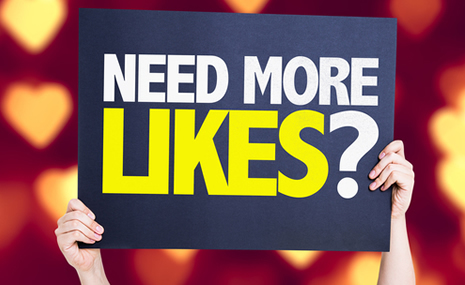 Rather than using your first name and a bunch of numbers, come up with something that is more specific to you and your likes, pets or hobbies. “PugLover, “GridIronFan” or “5KRnr” all say a lot more about you than “KT1976.” Venture Beat offers a few ideas to make yours unique. One of the main complaints people typically have about online dating is that the members’ photos are either too blurry, outdated or aren’t accurate at all. To be as honest and genuine as possible, which will ultimately help draw other people to you, be sure the photos you post are high-quality, current and real. Instead of relying on a clunky, old camera, use your smartphone to get some amazing pics. The Galaxy S7 features a 12 megapixel camera with ultra-fast autofocus. This will help you to snap clear photos that look terrific. The front-facing camera is also great for taking selfies that you can add to your profile. Consider springing for a selfie stick to capture pics of you with friends and family. As you read through others’ dating profiles, you’ll probably notice certain terms popping up over and over. It seems everyone on the site is “fun to be with,” “romantic” and “loves being with family and friends.” Even if these adjectives describe you to a T, you should try to be more specific. Think of things that you do that illustrate your positive traits and use those stories in your profile. Instead of saying “I love my family,” consider writing something like “One of my favorite things in the world is spending time with my kids, either going to a movie, grabbing lunch at our fave Mexican place or just hanging out at home and playing board games.” As a side note, while you want your profile to be engaging and interesting, resist the urge to tell all. Save plenty of stories, anecdotes and fun facts about yourself for when you meet someone in person. Whenever you can, try to add in little extra tidbits of information about yourself that are presented in a clever way. Consider listing the top three things you must have in your life to be happy, and then think outside the box a bit. Include things like “my morning cup o’ joe from Starbucks” or “my lucky Grateful Dead T-shirt” or “my Tom Brady bobblehead doll.” These items will give visitors to your profile a helpful glimpse into your world and make them feel like they know you, or at least want to get to know you. Responses to "Create an Ironclad Dating Profile"